On this day in 1977, the legendary actress Joan Crawford died of a heart attack in her New York City apartment. 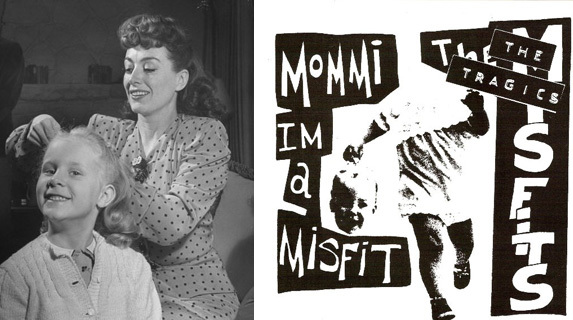 Less than two years after Crawford’s death her adopted daughter Christina published the book Mommie Dearest, in which she alleged that her mother had been emotionally and physically abusive to both she and her adopted brother. The book was later made into a film, starring Faye Dunaway as Crawford. Today we have the song Mommi I’m A Misfit by The Tragics. Happy belated Mother’s Day!